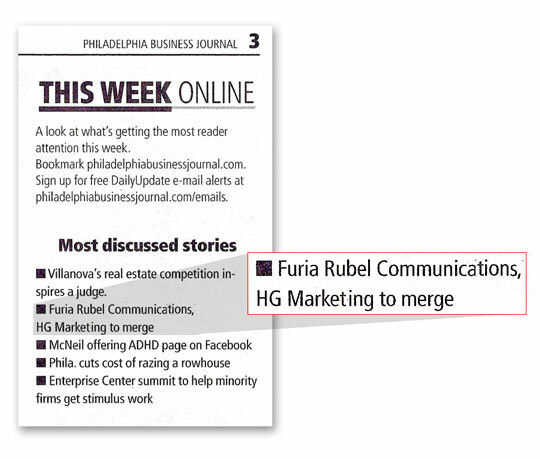 The HG Marketing Group merger with Furia Rubel received a lot of attention with the online business community last week. 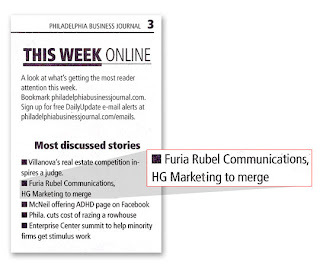 The story was one of the most discussed according to the Philadelphia Business Journal! To read Peter Van Allen's full post, click here.